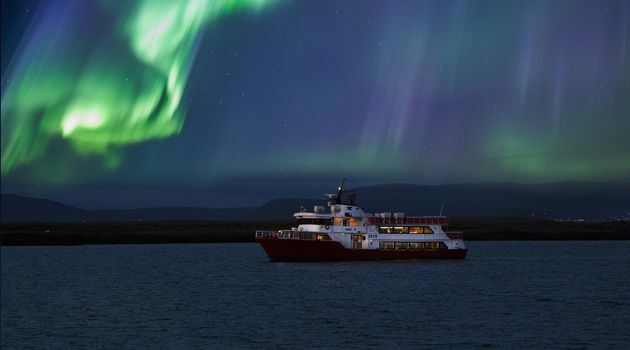 Search for Aurora Borealis away from the city lights, on this thrilling winter cruise. 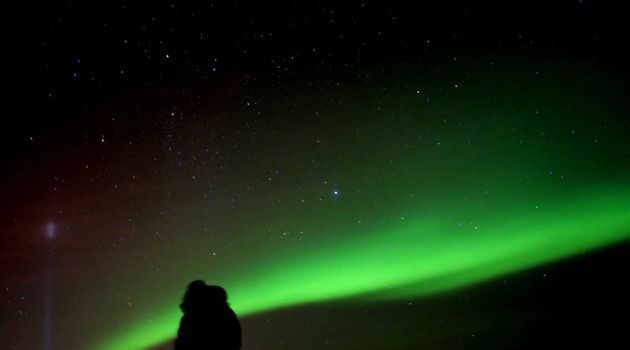 Northern Lights are best displayed under dark, clear skies. 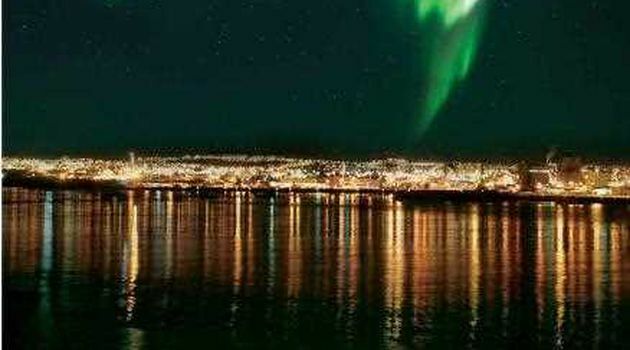 You can find these conditions from September until the end of April in Reykjavík. 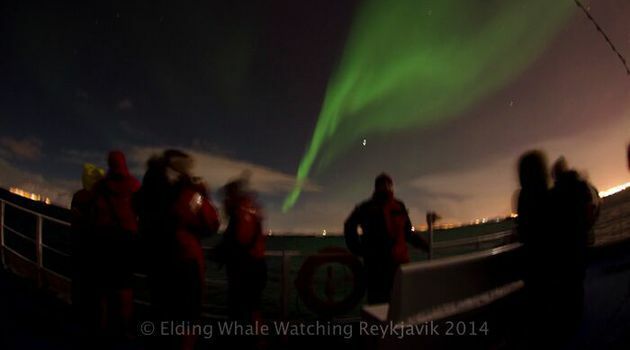 Watching the lights constantly change in intensity, colour and movement in the vast starry space with the gentle lull of the ocean beneath is a thrilling, unique experience. 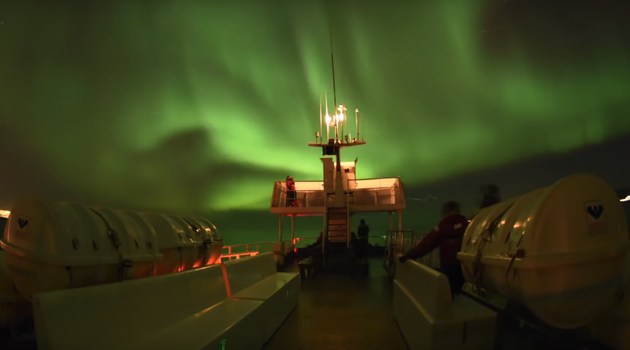 Hunting the auroras by boat gives you more comfort as we have heated inside areas, an onboard café and great 360° viewing platform for panoramic views. 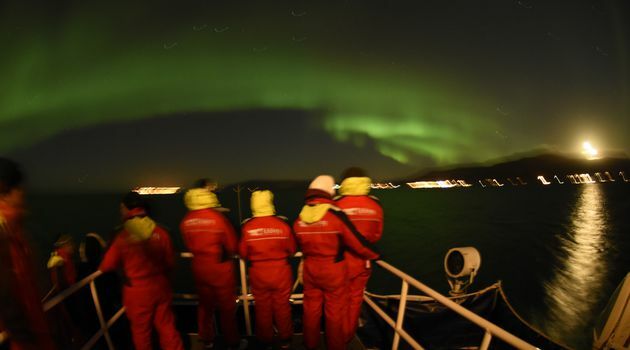 Our expert aurora guides help you enjoy the lights and cruise to the fullest by giving you information about the auroras as well as answering any questions you may have. They even take pictures on the tour which you can request by email when you get back home! You can borrow one of our overalls to keep you warm, just remember to bring a hat and gloves. 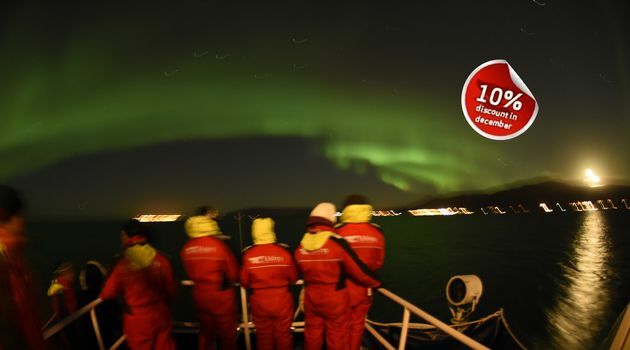 Meet us at the red and white ticket office at the Old Harbour in downtown Reykjavík where you will exchange your pre-paid voucher for admission tickets. Our expert guide will then greet you in our Visitor Centre, which is facilitated on board an old fishing vessel permanently placed by the pier. 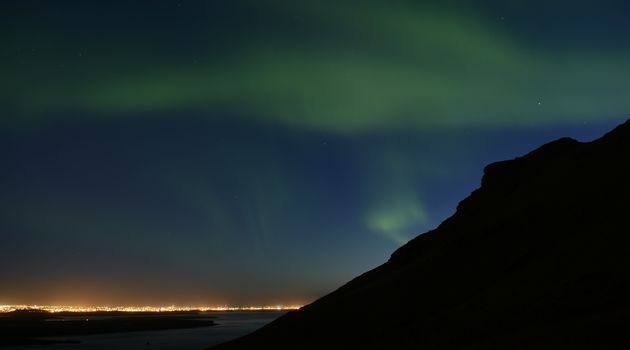 We will take you out into the dark blue yonder of Faxaflói bay in search for the mystical phenomenon that are the auroras; leaving behind the bright city lights of the northernmost capital in the world, Reykjavík. 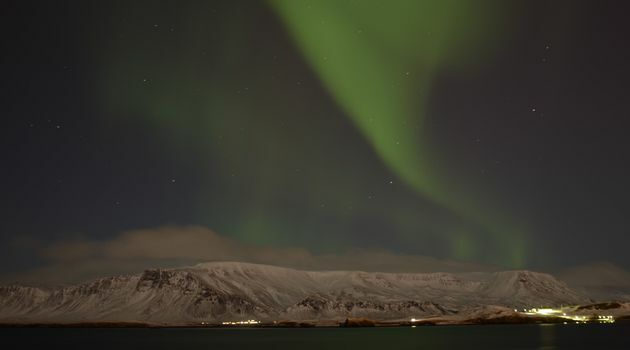 As the northern lights are a natural phenomenon we cannot guarantee that we will see them, but we are professional aurora hunters with years of experience searching for the lights around Reykjavík. 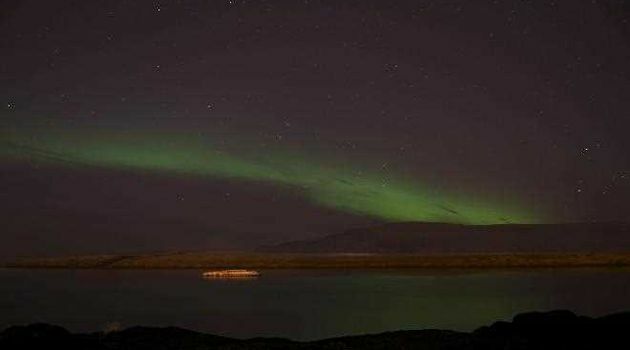 For a good aurora pursuit we need three things; solar activity, clear skies and darkness. 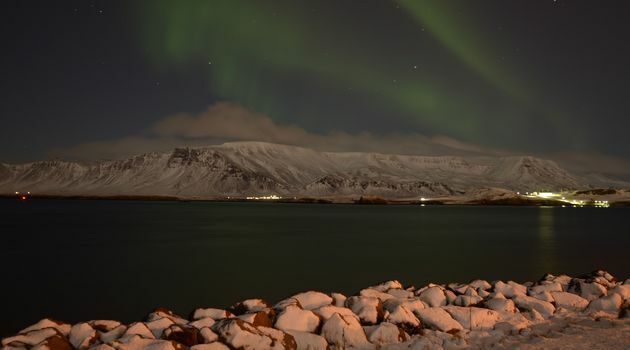 A lot of other tour operators will cancel their tours if the forecast is not in their favour - well, we don’t! 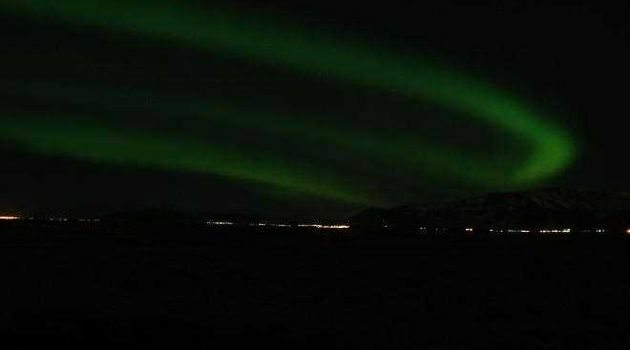 We know that you don’t have many days to search for the lights and that the weather can change in mere minutes, anywhere from a full cloud forecast to clear skies. We want to maximise your chance the best we can and so WE WILL ALWAYS GIVE IT A GO! 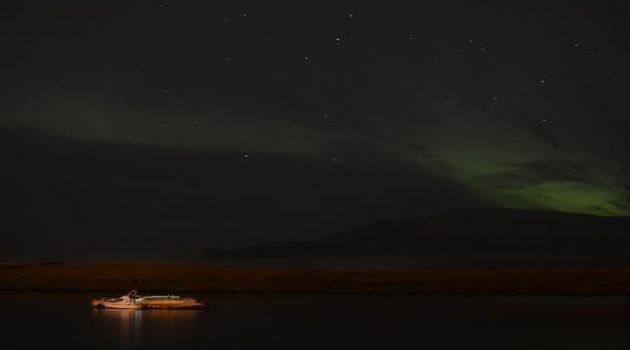 Our searching area is close to shores and around small islands, far enough away from city lights and therefore it is optimal for a smooth and comfortable sailing. If the lights fail to make an appearance you can try again the next day or any other day at your convenience. You are free to go as many times as needed (within two years) to catch the show - at no extra cost! 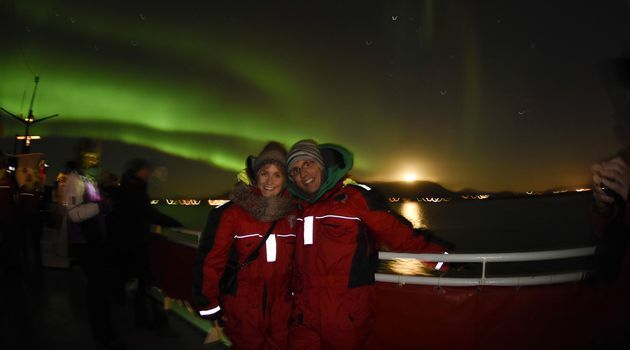 COMBO: Combine this activity with whale watching or check our other combo tours! 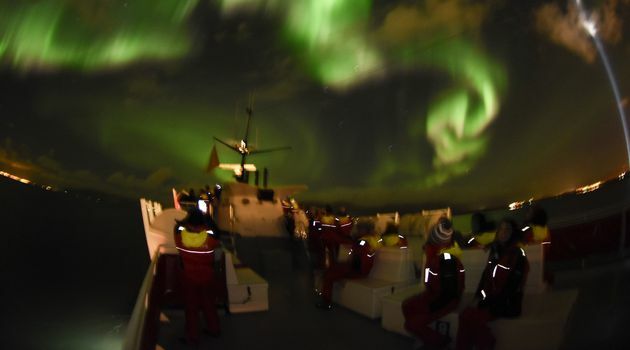 Please note that for your enjoyment and safety, this tour is subject to conditions at sea and therefore it could get cancelled on short notice. We will do our best to notify you in good time. 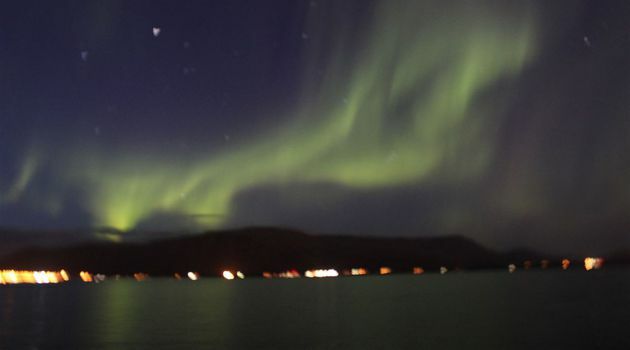 The northern lights are a natural phenomenon and unpredictable, so remember to bring patience and optimism with you. 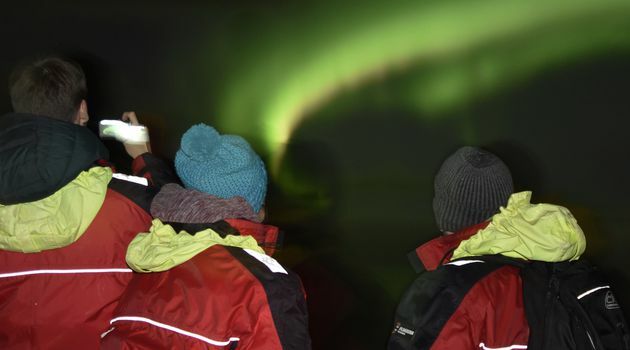 If the northern lights are not seen on your tour you will be given a complimentary ticket, which is valid for two years. 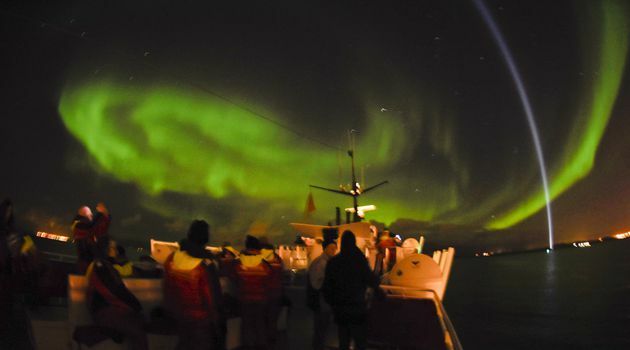 Weather is a big factor for the northern lights cruises and we may have to cancel the tour.